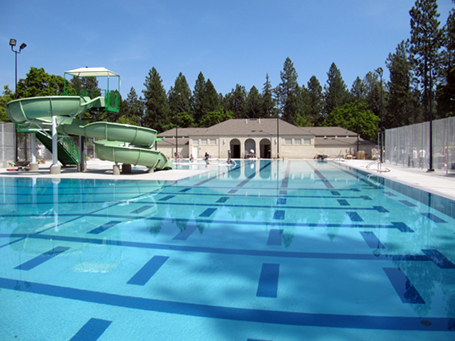 The City of Spokane, Washington, retained the team of Counsilman-Hunsaker and ALSC Architects to prepare an Aquatic Master Plan to focus on the need for improved or new aquatic facilities. The plan identified current outdoor swimming pools facing physical and functional obsolescence. Consequently, the City of Spokane passed a bond measure in November 2007 to replace all the pools and build one new neighborhood pool to provide residents with aquatics for social, recreational, competitive, wellness and educational activities more aligned with the progression of the city. In January 2008, Counsilman-Hunsaker was awarded the title of lead aquatics designer for the construction of six new city park pools, two YMCAs, and the addition of 11 splash pads, which replaced existing wading pools. With a highly-publicized public process and multiple community meetings, each pool has been designed to meet each neighborhood’s needs and desires. The neighborhood pools feature water amenities such as zero-depth entry, waterslides, interactive water play features and fitness lap lanes.